The Rector or his designate will officiate/celebrate at all weddings at SsAM. Other clergy may be invited to participate at the invitation of the Rector. The presence of a Sexton is required for all weddings. Depending upon the size and complexity of your ceremony, a representative of the Altar Guild, known as an Arrangements Coordinator, will be appointed by the Altar Guild to assist you and your party with the ceremonial and other details related to your wedding. A representative of the Altar Guild will prepare items for the liturgy. All couples are required to meet with the Rector or designated Priest for premarital pastoral counseling prior to the ceremony. Generally up to six or more hours may be scheduled throughout the period of planning and preparation. The Priest may deem it appropriate to refer a couple for professional counseling. In the case of persons who have been divorced, a formal request must be made to the Bishop of Delaware for permission to remarry. The development and preparation of the liturgy is the responsibility of the Rector, and the liturgy will conform to the Book of Common Prayer and/or Guidelines established by the Bishop of Delaware. Consultation with the couple is very appropriate during this process. The couple will review the liturgy with the celebrating priest and the director of music and make choices where appropriate. Additional liturgical ministers may be used as desired or necessary (readers, deacon, acolytes, etc.). Weddings at SsAM traditionally include the Eucharist. In cases where it is appropriate, the Eucharist may be omitted with the permission of the Rector. Service leaflets are typically produced through the church office. 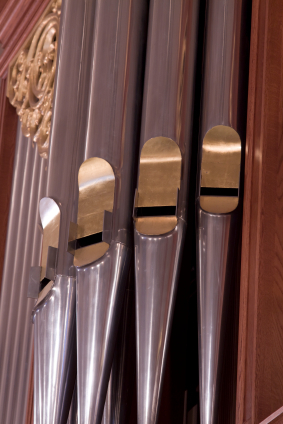 The couple may have leaflets printed at a printer, but content must be approved by the Rector and music must be approved by the director of music. 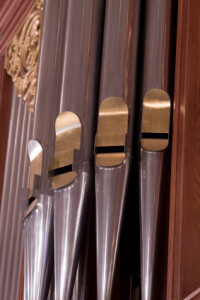 The church’s director of music or his designate will serve as organist and music consultant for all weddings at SsAM. It is the responsibility of the couple to contact the director of music as soon as the service has been scheduled, to begin arrangements for music. All musical selections must be approved by the director of music and determined to be appropriate for a service of worship at SsAM. Additional musicians including vocalists, instrumentalists or one of the church’s choirs may be arranged through the director of music. All guest musicians must be approved in advance. Runners for weddings are allowed, but arrangements must be made with the church office 30 days in advance of the wedding date. Flower petals may not be thrown in the procession. Flowers and decorations are ultimately the responsibility of the Altar Guild. The couple should arrange for flowers with a local florist, however plans must be approved by the Altar Guild through the church’s Arrangements Coordinator. Aisle candles are not currently available through the church, but may be arranged through the florist. Decorating of pews, etc., must be done in consultation with the church’s Arrangements Coordinator. No tape or staples may be used to secure decorations to pews. No wall or window decorations are permitted. The photographer must contact the Arrangements Coordinator at least one week prior to the date of the ceremony to discuss procedures. No flash pictures may be taken during the ceremony. Photographers are asked to respect the view of all members in the congregation and to be inconspicuous. The clergy and the party may pose for pictures either before or after the service. The church shall be opened 1 ½ hours before the wedding to accommodate the wedding party. Rooms will be provided for the women in the bridal party to gather as well as for the men. The church will be closed 30 minutes after the service has concluded. We ask that rice, birdseed and the like not be used when the couple leaves the church. If you wish to use the auditorium or the Crypt Hall for the reception, arrangements must be made through the church office.